Email testing has found a new home. We are proud to announce that Email on Acid has FINALLY made the move into our brand new, stunning office space! We landed some prime real estate in the Tech Center of Denver Colorado (designed and built from scratch!) and we couldn’t be more excited about the finished product. Together, John Thies (our current CEO) and Michelle Klann (our President) founded Email on Acid in 2009. Together, they worked tirelessly to build their business from the ground up, and soon enough they brought on new employees and were in need of some office space (preferably not located in John’s living room). 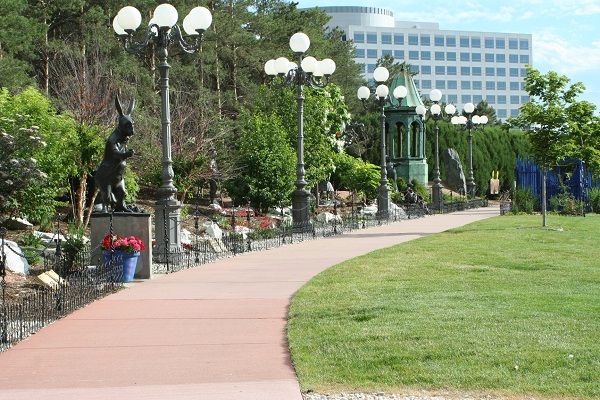 In 2010 John subleased an office in the heart of downtown Littleton. By 2013, our little work space was busting at the seams as our business and staff grew like crazy. On November 13th, 2013 we made the final leap into our new spot. New employees, new desks, and even newer mobile devices! Our pad is equipped with a server room, 3 offices, a conference room, a full kitchen and a great lounge. 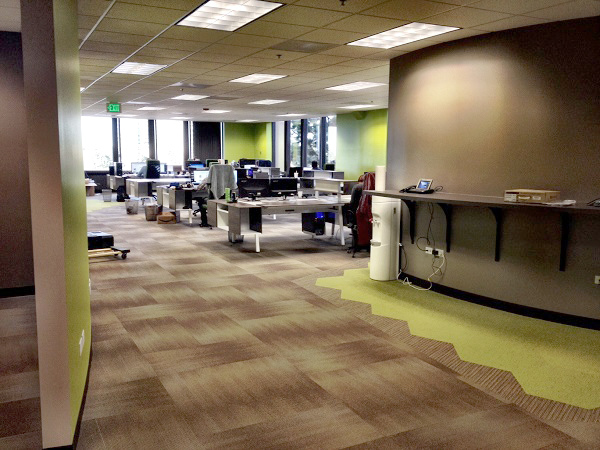 Our fresh, cutting-edge office in the Denver Tech Center is now 5 TIMES BIGGER and the location could not be better. The neighborhood even has light rail lines running through it, all less than a 5 minute walk from the office. Oh and did we mention, the view is breathtaking! We’re happy to finally be in a state-of-the-art space where we can stretch out our legs and have room to grow exponentially. So what do you think of our new crib? Will you be the next addition to our team? Thanks for taking a sneak peek into our humble abode. Oh and we were totally serious when we said we were rapidly growing. Interested in joining our team? We currently are looking for 2-4 developers that share our passion. If you are qualified, contact us so we can start the conversation! Congrats! Didn’t realize you guys were in Denver…I have family there. Maybe next time I’m up that way I’ll have to drop by and take a look around. Just saw T on tv…so cool Sanka!!! Congrats John & Miki, so cool to see you guys grow so fast! Keep it up! We are just across Orchard from you now! Welcome to the neighborhood! Wow, looks really nice! Congrats! I am VERY interested in becoming a part of the EOA team!